john's wife made a career move to LA, with the kids, and john came over during christmas to try and patch things up. 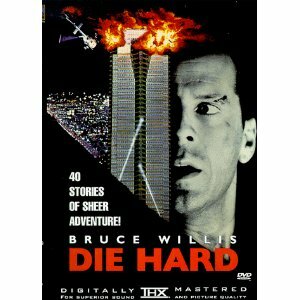 before that could happen, a terrorist team holds up the entire corporation building during the christmas season. since john is in it, he has to do something. like die hard. first of the series. bruce looked his best here. he's gone downhill since. his action sequences are also the most physical. a lot of 1-on-1 situations. it's a action blockbuster. fistfights, gunfights, explosives. and you see bruce spends a lot of time hiding, he's not actively asking to be shot. and lots of relevant humor to break the intensity of the film.